Many documentaries, articles, museum exhibits, books, and movies have now treated the subject of the Tuskegee Airmen, the only black American military pilots in World War II. Most of these works have focused on their training and their subsequent accomplishments during combat. This publication goes further, using captioned photographs to trace the Airmen through the various stages of training, deployment, and combat in North Africa, Italy, and over occupied Europe. Included for the first time are depictions of the critical support roles of nonflyers: doctors, nurses, mechanics, navigators, weathermen, parachute riggers, and others, all of whom contributed to the Airmen’s success. 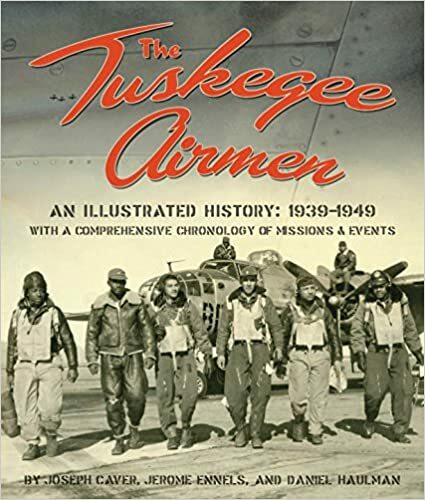 In words and pictures, this volume makes vivid the story of the Tuskegee Airmen and the environments in which they lived, worked, played, fought, and sometimes died.